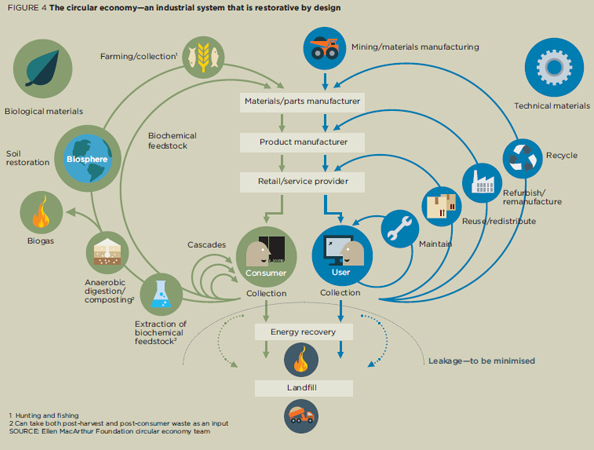 There’s a lot happening around the Circular Economy at the moment. The Ellen MacArthur Foundation launched their introduction to the concept this time last year, and this January sees the publication of part two. It’s being discussed at Davos and seems to be gaining some recognition, which is good to see. One way that our district is effectively recycling materials of all kinds is that our Shire Council has established a depot where people may dispose of items any day of the week. On Saturdays it is open to the public to purchase items at at modest price for recycling. I wrote a post about this on http://fayhelwig.com in September.